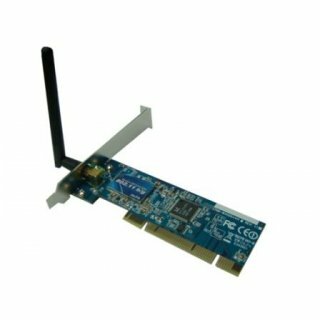 The AWPCI36tH IEEE 802.11g High Power Wireless PCI adapter provides users to launch IEEE 802.11g wireless network up to 72 Mbps with Turbo mode in the 2.4GHz frequency, which is also compatible with IEEE 802.11b wireless devices at 11Mbps. You can configure this adapter with ad-hoc mode to connect to other 2.4GHz wireless computers or with Infrastructure mode to connect to a wireless AP or router for accessing to Internet. This adapter includes a convenient Utility for scanning available networks and saving preferred networks that users usually connected with. Security encryption can also be configured by this utility. - Support wireless data encryption with 64/128-bit WEP, WPA (TKIP with IEEE 802.1x), WPA2 and AES functions. - Supports auto-installation and diagnostic utilities.